The Franciscan friar Flaithri O Maolchonaire was a man of many roles: Gaelic scholar and educator, special envoy, and consummate politician with deep religious convictions. 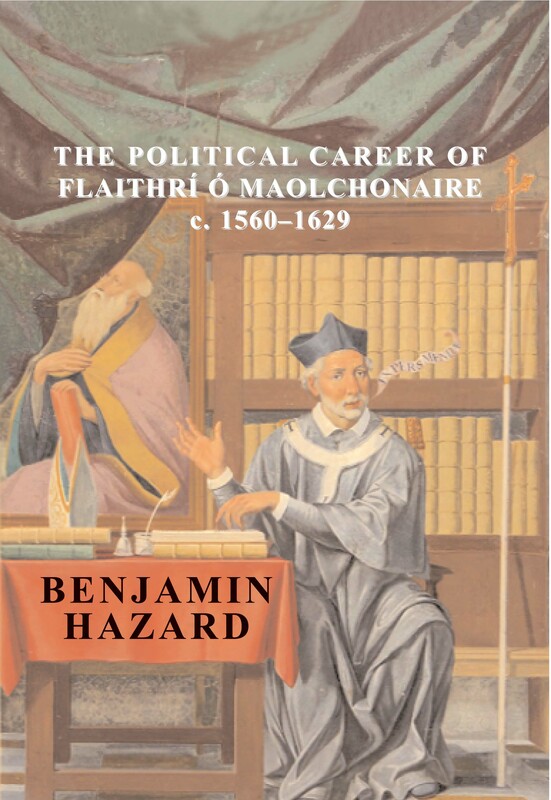 Benjamin Hazard has written a fascinating and engaging study of this flawed yet brilliant man and his times. O Maolchonaire left Ireland in the 1590s after Tudor state-building policies had spread from the Pale into regions previously controlled by his family’s powerful Gaelic allies. Categories: Biography / Memoir, Pre 18th Century History, Political History. The Franciscan friar Flaithri O Maolchonaire was a man of many roles: Gaelic scholar and educator, special envoy, and consummate politician with deep religious convictions. Benjamin Hazard has written a fascinating and engaging study of this flawed yet brilliant man and his times. O Maolchonaire left Ireland in the 1590s after Tudor state-building policies had spread from the Pale into regions previously controlled by his family’s powerful Gaelic allies. He studied at the University of Salamanca, leaving him ideally placed to act as diplomatic agent between the Ulster earls and the Spanish crown 15 years later. He first gained renown when Spain intervened in Ireland’s Nine Years War after which O Maolchonaire used his influence to find employment for battle-hardened Irish veterans in the Spanish armed forces. With the favor this gained for him at the Spanish court, he established St. Anthony’s College at the University of Leuven, thereby providing the foundations for a new network of Irish Franciscan colleges throughout Europe. His desire to see the restoration of Catholicism and the Ulster earls in Ireland made his religious and political aims indivisible. With all his efforts directed towards this objective, we see both his genius and his hubristic aversion to compromise. Anglo-Irish Catholics wished to reach an accommodation with Whitehall and O Maolchonaire’s resistance to this aim demonstrates the internal divisions inherent to Irish politics. The serious student of Irish history must study this period, and O Maolchonaire in particular, to gain insight into what followed. Hazard’s systematic approach and meticulous archival research in five countries brings his subject and the period to life. Benjamin Hazard is Louvain 400 Fellow at the Micheál O Cléirigh Institute for the Study of Irish History and Civilisation, School of History and Archives, University College Dublin.